Contrary to the title of this post, I like surprises, especially plot twists. I like a surprise where I can scream then giggle like a little girl and surprises where my heart flutters in joy. The surprise I’d like to stop having is the “Novel Diversity Surprise.” Now, you might be thinking, isn’t that a good thing? No, it’s not. Here’s why. 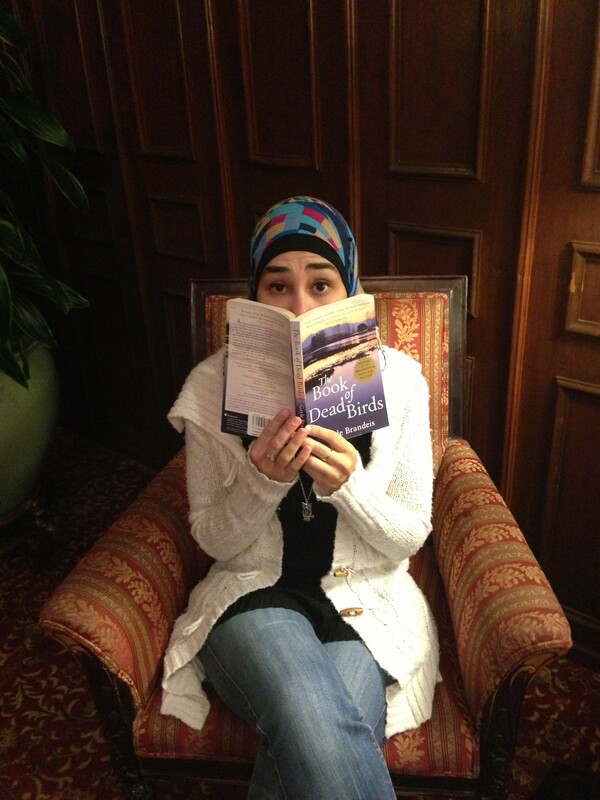 My good friend Haneen surprised at a book’s diversity. Earlier this summer Lee & Low Books, in connection with the Cooperative Children’s Book Center released a graphic of the dismal diversity in children’s literature. That conversation is still going some 2 months later. Clearly, most children and young adult literature reflects the dominant culture, with characters of color (both main characters and secondary characters) practically non-existent. In last month’s essay, I noted that authors need to also create diverse worlds as that is the nature of the world we are living in. Here is where the “Novel Diversity Surprise” comes into play. As an avid reader, I constantly read books that do not reflect the world I’m accustomed to and am used to accepting the “default” – that of the dominant culture – that when I read a book that has an actual diverse world, I’m surprised. But no. See, the thing is, if publishers, book sellers, etc. encouraged the selling of books with diverse casts, and if more writers from the dominant culture wrote books that reflected their diverse world, I shouldn’t be surprised when I read the book. Diversity in literature should be the norm, not the exception to the rule. Many writers of color often write books where diversity is represented, because that is how we experience the world, but many writers from the dominant culture fail in this arena. And when writers from the dominant culture include diversity in their books, it’s is seen as a novelty, something special. A surprise gift. This surprise gift needs to come to an end. Having a diverse world (shoot even diverse universe for the SciFi/Fantasy people) should not be seen as unique and special; it should be seen as the norm. No, not seen as the norm; it needs to become the norm. Until such time, I’ll continue to be on the hunt for books that reflect diversity in all forms and raise my eyebrows in surprise when it comes. I totally get this! Because of the society mindset we have, we default to assuming everyone is white, and when a POC character is introduced, we’re taken aback, and then feel like we ought to celebrate it as if it’s some great achievement. And while relatively, it is a good thing, I agree with you: diversity needs to be normalized. We should become surprised over books that aren’t diverse. Exactly! And when more books are diverse, then we won’t have instances of people saying “I didn’t realized that character was _______, and now the book is ruined.” Children from the dominant culture need to read diverse books as well. One disturbing trend I’m seeing, however, is that in many ensemble casts in books, there’s one black person, one Hispanic person, one person with a disability (and/or Asian person), and a white person with red hair. Sure, this looks like a college brochure, but does it look like real life? I know, that is a disturbing trend as well. It’s like when Hollywood responded to the call for diversity by having the token Black person on a show. No, just no. That is not diversity, nor is it even close to real life.